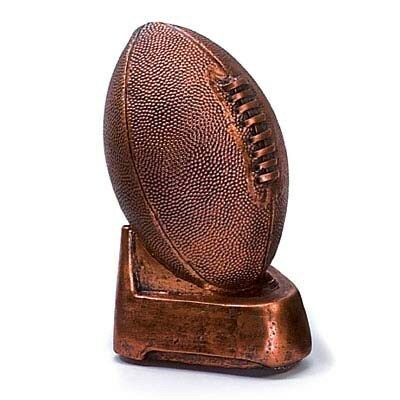 7"H X 4"W bronze resin Football on Tee trophy. Price includes engraving. 3 line maximum.